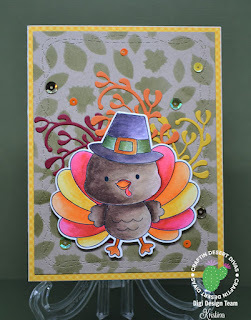 K's Kraftology: Gobble until you wobble! 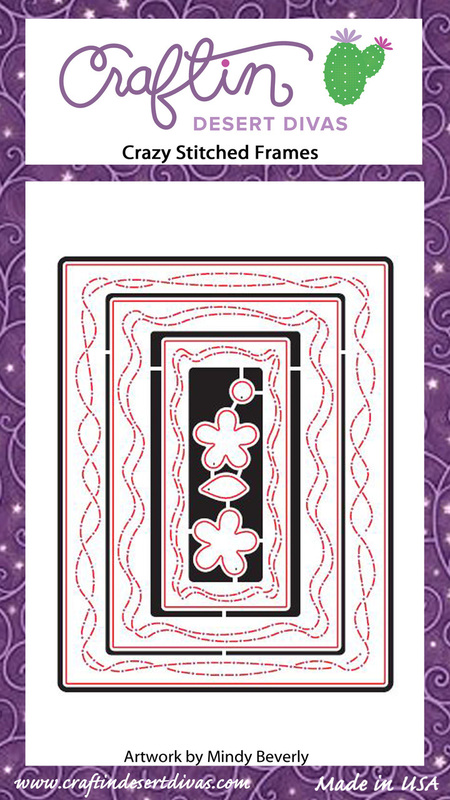 Thanksgiving is fast approaching and I am looking forward to spending time with family and eating lots of yummy food! Of course that means that Christmas is coming soon and that tends to put me in a bit of a panic mode. Eek!! 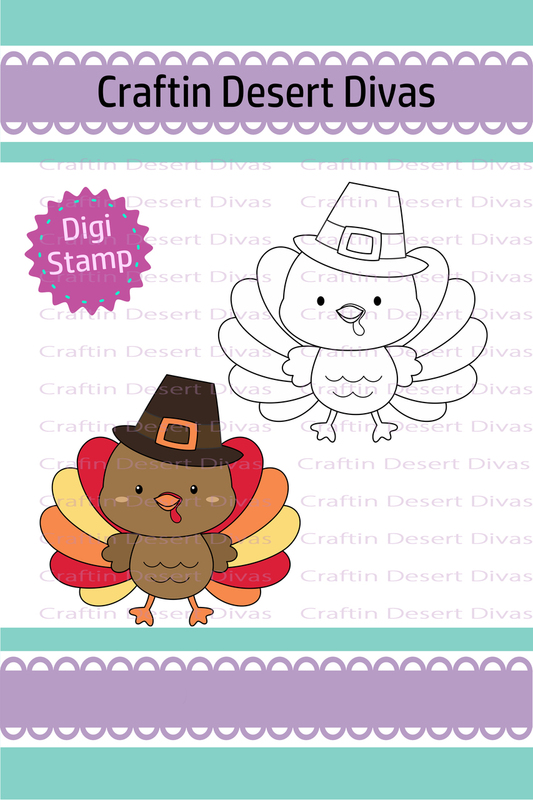 Anywho, I'm bringing you this cute little Turkey that you can still get for free from Craftin Desert Diva's. 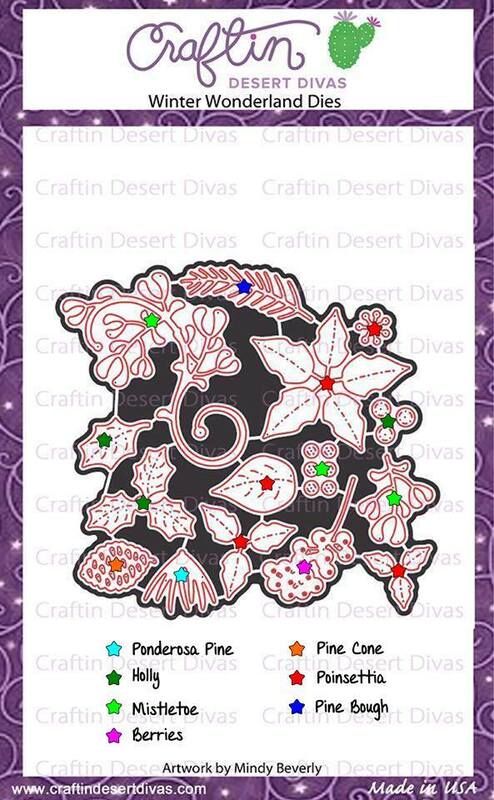 You can find more details on the Craftin Desert Divas Gallery Facebook page here. 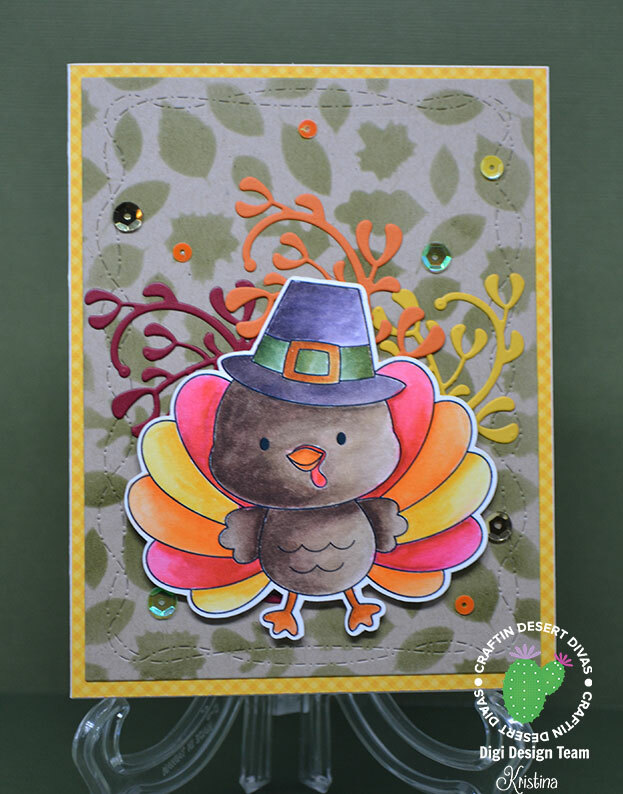 This little turkey is just perfect to use for participating in the Social Media Challenge. Don't forget to use the tag #cddmonthly! I printed him out onto Bristol paper and used my Zig Clean Color Real Brush markers. Ahhh, how I love the way they move on Bristol. I swear it is the key to getting a good blend! The dies I tucked behind him are from Winter Wonderland dies. I know, they say "Winter" but I can see them being used for so many different things! 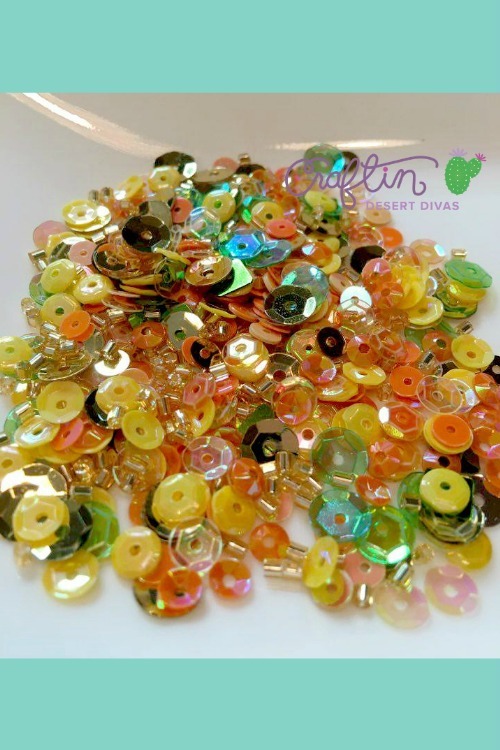 They are so very pretty. 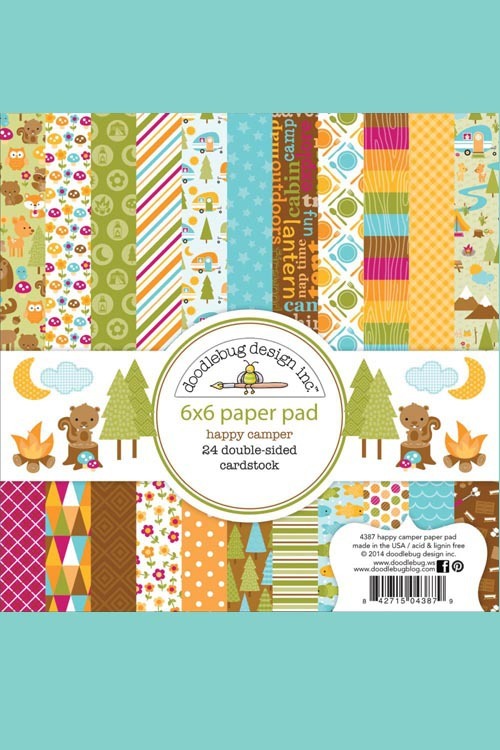 I stenciled the leaves on a kraft piece of cardstock and the yellow layer is from the Happy Camper Doodlebug paper pad.